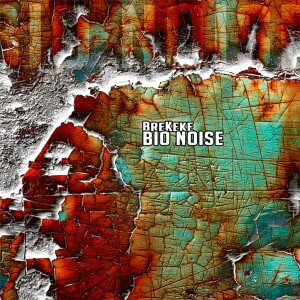 Luk-Si Records presents their fifth release, Bio Noise, the first album from talented Czech producer BreKeke. His music is a result of all his acquired knowledge and experiences reflected through the mirror of the subconscious mind to bring you on a great trip through the infinite universe. Start your engines, travel on waves of Goa trance, look into the heart of rebirth, and fly to the center of the galaxy with this album! Mastered by Psypileptic with artwork by Newteck. MP3 Download | FLAC Download | WAV Download · Download count: 10,980.
amazing album! how goa should sound. beautiful.. This is definitely one of the most unique releases on Ektolazm. Beautiful melodies and sounds. Definitely not your average goa album. Keep it up man, keep it up. what’s up with the bpm ? haha . PS: There are some patches of very creative drumming (must I say beats?). I love it. This album is great. Haven’t heard an album with such simple yet refined sound. Sounds good, feels good. simple sounding at first, with smooth unintrusive lead sounds and arps. Nice subtlety. I don’t find anything in common with goa on this album. If you’re going to call this goa, you might as well call most ‘psytrance’ goa. It sounds to me more like understated morning full on, with a very clean digital sound. I like it a lot. Sometimes i remember SubConsciousMind… Lovely music. PLUR! One of best Symphonys i have ever heard. Its so powerfull and soo beauityful. Amazingly “Bio” … bringing in the organic element to music. Unlike someone said – close.. but not exactly like ‘subconsciousmind’ — You’ve got a unique / intelligent / future core sound. #GodSpeed to you my friend !! Holy $#!+ this $#!+ is the $#!+ !!!! Maybe its cuz I’m kinda new here, but I have never heard anything quite like this – me likey! I haven’t listened to the tracks yet but thankyou for the download and I like the sleeve art, its a bit different and reminiscent of my own style. YEEEAAHHHH!! I leave me speechless this spectacular project. You injected me great happiness and adrenaline on every rhythm and harmony of each song. ¡GOD! I feel like screaming and i have chills right now. A greeting and a hug from Mexico. Nice… I mean nice album!!! Gotta hear more from this artist. Nicely done!! This sounds remind me of bamboo forest goa . ABSOLUTE GEM BOOM.